Neurax Worm and the rest of the Plague Inc. plushie crew get involved in the ceremony. 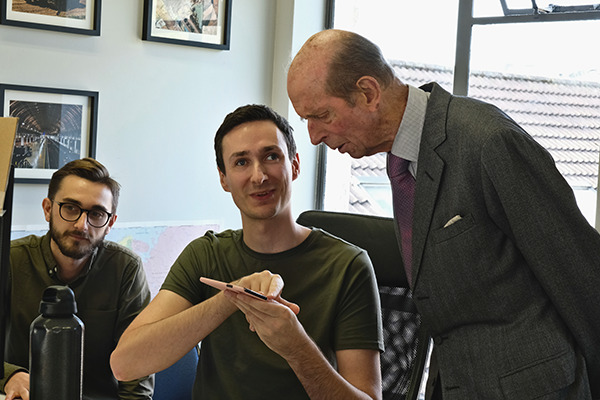 During the visit His Royal Highness spoke with James Vaughan, the creator of Plague Inc, about the game and how it has managed to reach over 100 million players worldwide. James told him how Plague Inc. was originally made as a hobby back in 2011 and how it has since grown into one of the most popular paid mobile games ever. They also looked at the team’s latest project - Plague Inc: The Board Game. James receives the Queen’s Award for Enterprise from the Duke. 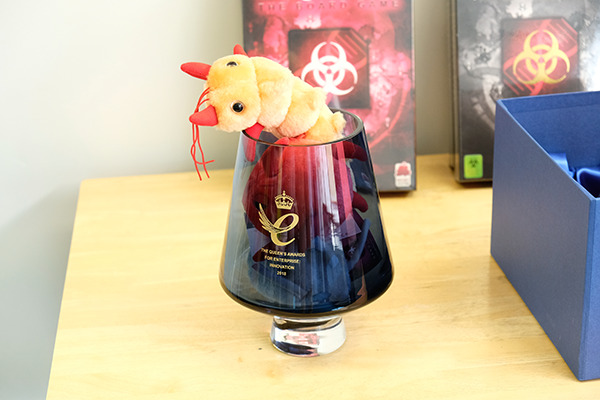 His Royal Highness was then introduced to the other five members of the development team at Ndemic Creations, and saw how the latest update for Plague Inc. was made (The Royal Update). In particular, he was shown how the UI was designed to adapt to the iPhone X and the process by which the new Science Denial scenario was created. Whilst this was going on - a few of His Royal Highness’ entourage took a moment to play Plague Inc. on their phones! Ndemic Creations’ programmers, Gerard Meier and Dan Weston, explain how some of Plague Inc.’s complex disease algorithms work. 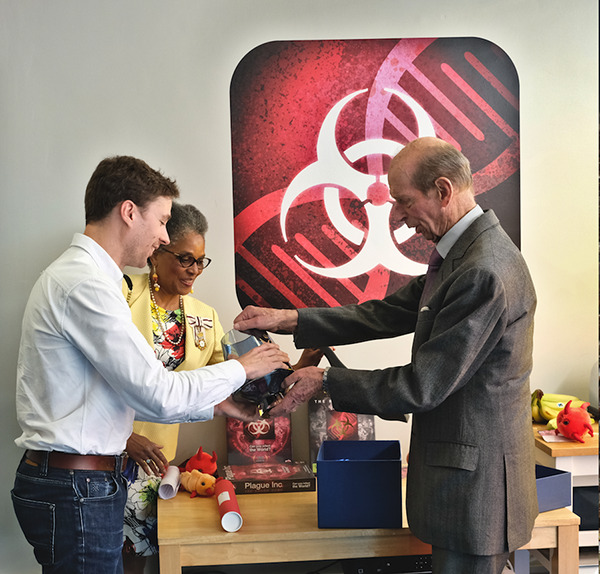 His Royal Highness, accompanied by the Lord Lieutenant of Bristol, then officially presented The Queen’s Award for Enterprise to the whole Ndemic Creations team. You can see more photos from His Royal Highness' visit in our media press pack here. Ndemic Creations is a leading, independent game studio dedicated to making intelligent, sophisticated and ultra-high quality strategy games. It has achieved extreme success with its first game Plague Inc. – a global hit which is one of the most significant mobile success stories ever with over 100 million players and it continues to top charts worldwide today. Ndemic Creations is self-funded and based in Bristol, UK.